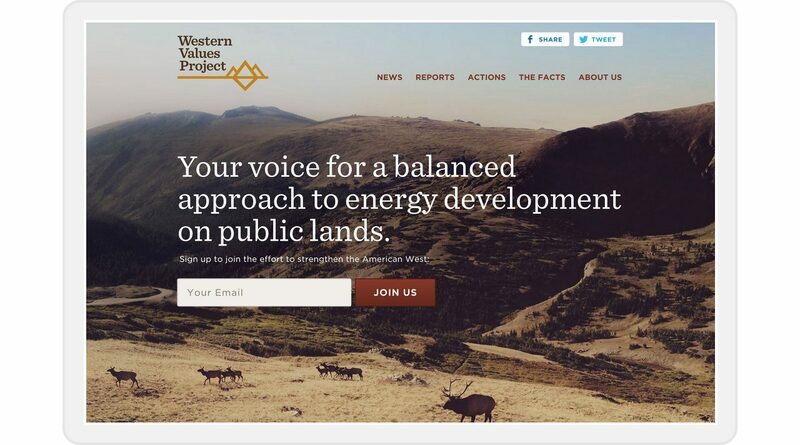 An organization who gives voice to the majority of Westerners who support a balanced approach to energy development on public lands. 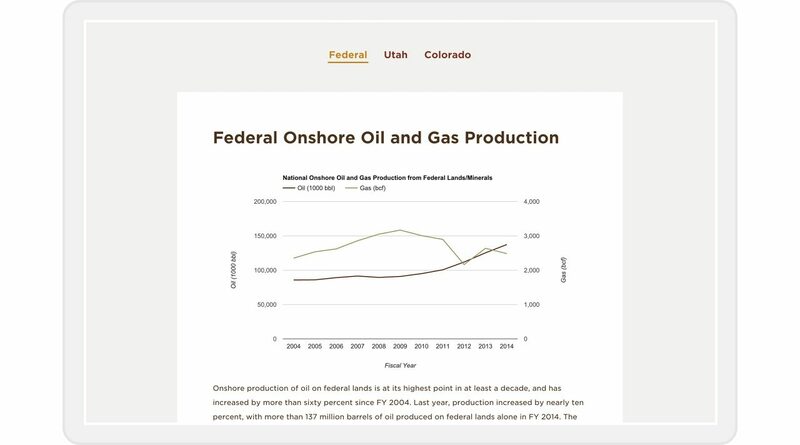 Western Values Project holds policymakers and industry stakeholders accountable when it comes to energy and the use of public lands. Westerners expect these lands to support good-paying jobs, provide world-class recreation, and support healthy, thriving communities. 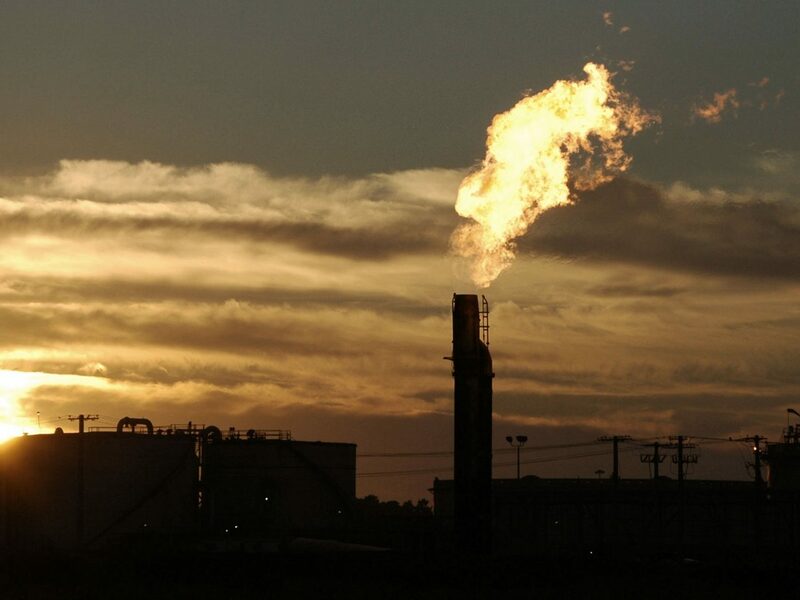 To do this, the right balance needs to be achieved between energy development and conservation. Founded in 2013 and based in Montana and Colorado, Western Values Project was very much in transition in 2015. 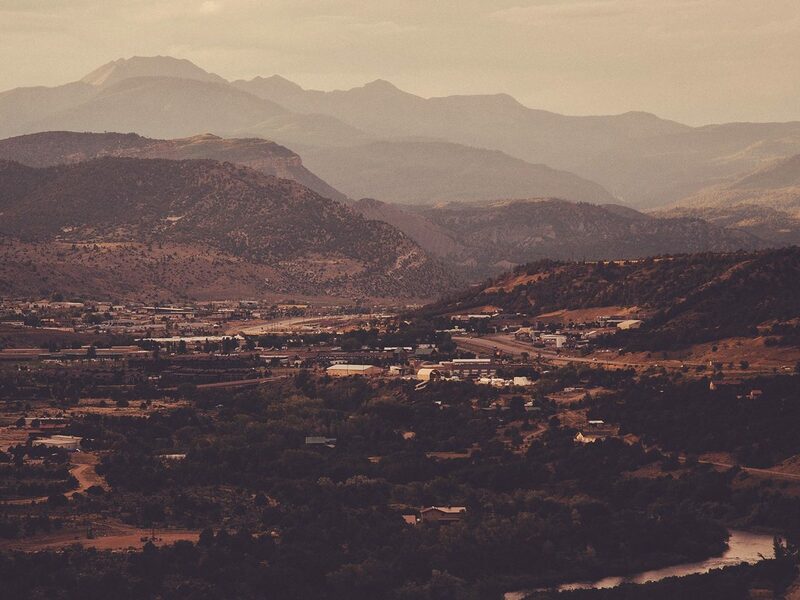 With a new director in place, the organization was looking to rebrand and needed a web presence that could offer factual information and practical online actions to its supportors in the Rocky Mountain West. Create a brand that translates into trust, accountability, authenticity, and watchfulness. 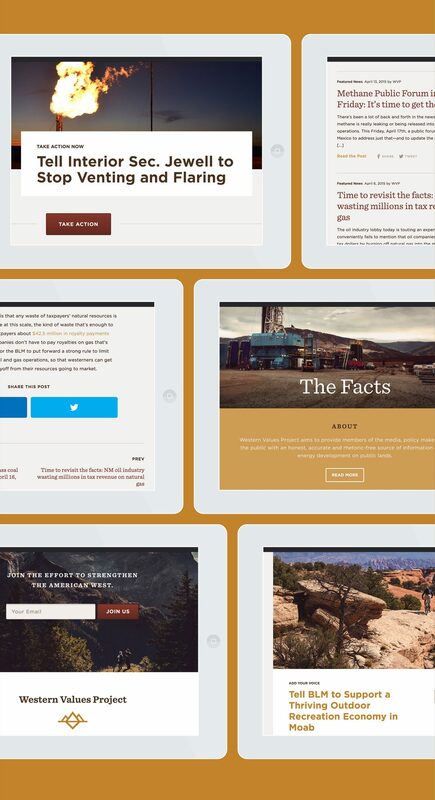 Develop a responsive website with a modern design and a backend that’s very easy for the internal team to keep content current to the latest debates on energy and public lands. The driving idea for the new brand is a Western, populist perspective that looks at the issues with a fair, fact-based, and pragmatic approach and seeks to establish trust with citizens and activists. And will always invite participation from the people who will join the effort to strengthen the American West. For the logo, a stately serif balances atop a visual mark representing the land that brings together the high mountain peaks and the low valley floor. Standing on its own, the strong mark protects the land and its people. The color palette, led by a deep brown and ochre, is built from the hues of the landscape. The photography is a mixture of people, places, and specific activities from the intermountain West. 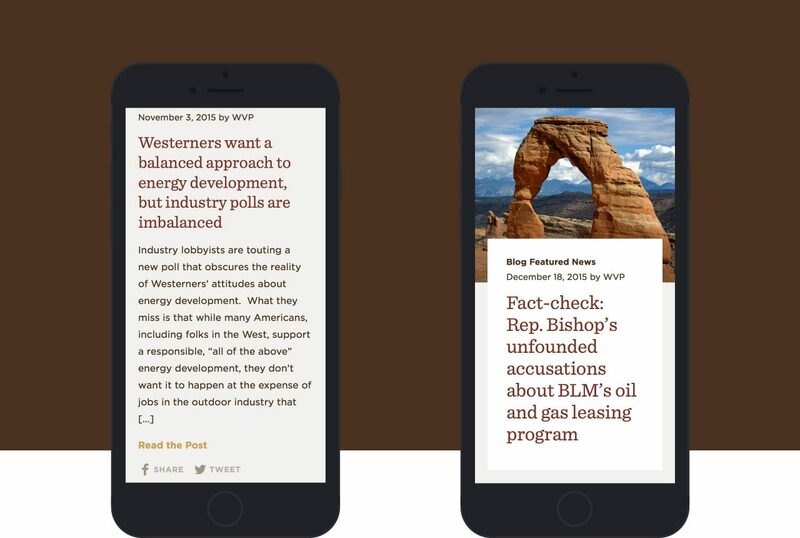 The modern, responsive site is designed to inform, inspire, and spur people to take action on the issues that will lead to a strengthening of the American West. It’s meant to communicate clearly the work done by Western Values Project and structures the content to align with a mission to be the voice for the people, to report the facts, and to allow visitors to take action on the things that matter to them. The site is developed in Wordpress to allow for seamless editing and adding of new content with flexible ways to feature specific posts with higher urgency. The flow of the site is designed to keep visitors engaged as they move from post to post, with emphasis put on sharing. 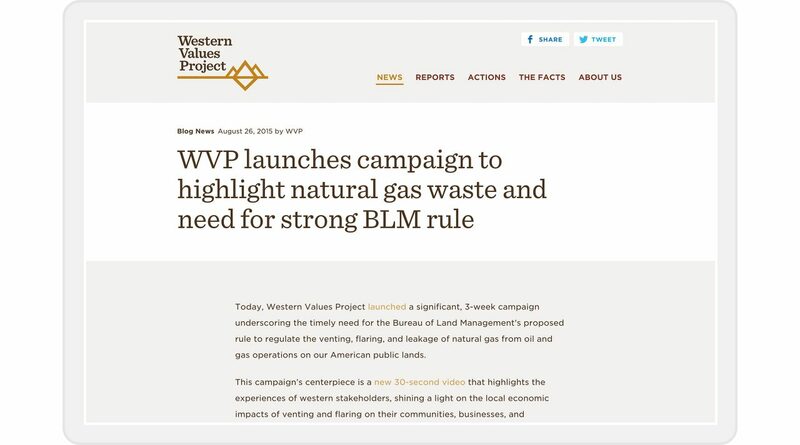 At launch, Western Values Project is focused on stopping natural gas waste on public lands and making sure elected officials pay the price when they speak for the coal companies and not the people. A third-party service is utilized for its engagement tools to help these actions gain traction online. Stylized photography is used throughout while typographically, the tone is factual and somewhat academic in primary use, bold and actionable when communicating the issues that need to be acted on. 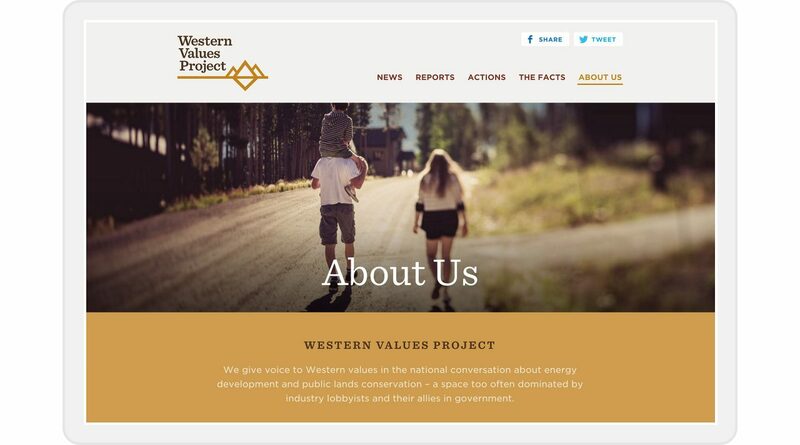 The new Western Values Project launched in the spring of 2015. 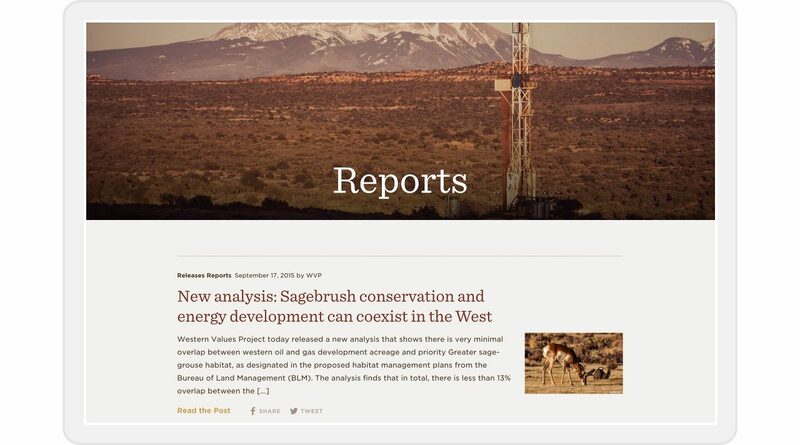 Facebook Twitter Email A balanced approach to energy development on public lands. Devoted to the presentation and discussion of film as an art form.